There's been a bit of a lull here on the blog lately. December is filled with so many activities. We're loving the Christmas season. What I'm not loving is that I was hit with either a nasty flu bug or a bit of food poisoning (I'm thinking the latter) and because my immune system isn't stellar to begin with it takes me a little bit longer to get back on my feet than most people. Last night and this morning I've at least felt like cracking open my laptop while camping out on the couch. I've found some fun things you might like while browsing the online scrapbooking world. I flipped through the pages of the newest issue of Scrapbook and Cards Today Magazine. I now have a huge list of project ideas. Some of them are for Christmas and some of them are just for "everyday" projects. Ali Edwards article on page 50 is my favorite. I love hearing about different ways to document childhood memories. Ever since I saw THESE amazing books created by Paige Evans a few weeks ago I've wanted to try making one (seriously, she used the most amazing things to make books out of...I mean a license plate and coasters, really!). I searched YouTube and found THIS great tutorial by Sea Lemon. I think I'm going to gather some supplies and give book sewing a try. Wish me luck! I always LOVE Wilna Furstenburgs videos. Right now she's doing a series with her December Daily album. Her album is so beautiful! Here's the link to her videos about days 5&6. Not feeling well during this time of the year has reminded me to slow down and enjoy this magical time of year with the kids. 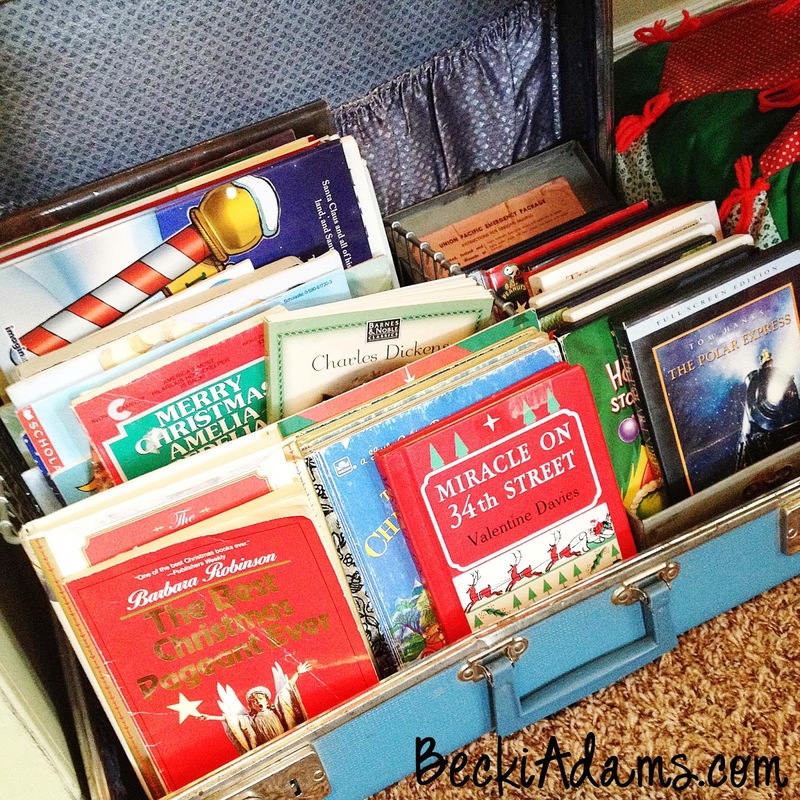 We've watched a lot of Christmas movies on Netflix and read a lot of our Christmas stories. Last night we watched the I love Lucy Christmas special on TV and my kids laughed hysterically. It made me smile to watch them laugh so hard. My little girlie has even added the I Love Lucy DVD's to her Christmas list. I want to make time for more Christmas specials, more Christmas stories, and spending more time with the kids enjoying the magic of Christmas. I think we may even forgo a few Christmas parties and just stay home with the kiddos. Are you enjoying your holiday season? What do you do to keep the magic of Christmas in your home? Lovely video! I love the Tiny Tots collection.